Introduced in April of 2017, Scopus was an early adopter of Scholix, an interoperability initiative to create a framework for scholarly link exchange. 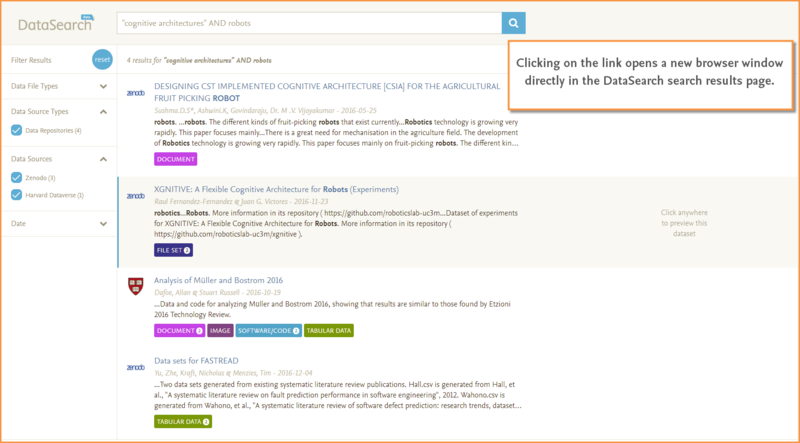 Scopus collaborates with Scholix’s community hub, the Data-Literature Interlinking Service (DLI). The DLI service populates and provides access to a graph of dataset-literature links collected from a variety of major data centers, publishers, and research organizations. Through this collaboration, Scopus is able to link records with datasets (where available) on an external data repository. This is achieved through matching identifiers, such as DOIs, on Scopus with the DLI Service. 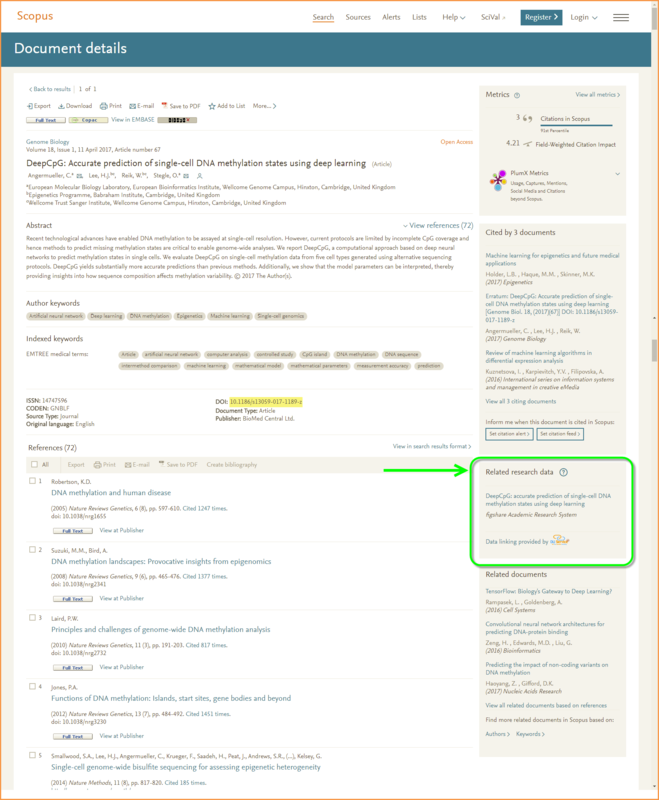 If the DLI Service returns link information for a dataset, then Scopus displays a “Related Research Data” box in the sidebar with the author, title, publisher, identifier (non-DOI identifiers are resolved via identifiers.org) and an external link to the dataset. The initiative with Scholix has been an important first step into the area of research data linking for Scopus. As the next step in expanding data linking capabilities, Scopus has now also partnered with DataSearch, an Elsevier search engine specialized in searching research data. 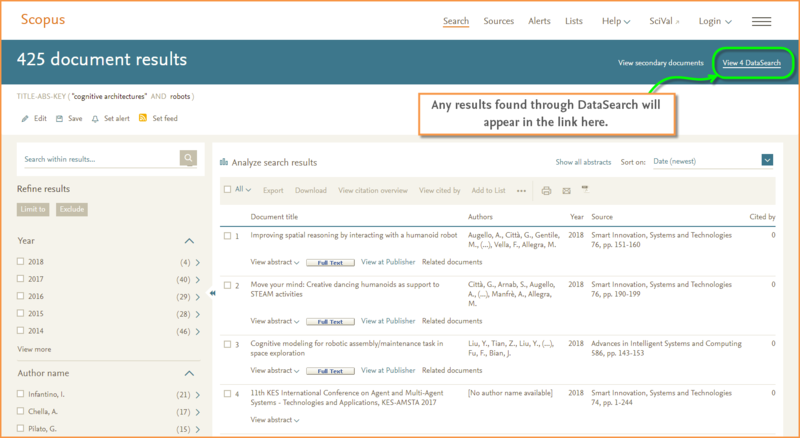 This means that when performing a search in Scopus, DataSearch will now simultaneously conduct an equivalent search in order to retrieve relevant research data, and you will be able to link directly to these data on DataSearch from the search results page on Scopus. In addition to searching the description of research data, DataSearch queries the data itself, yielding the most relevant results. It is also the only data search engine to offer a preview of the data directly on its search results page. As you begin using these tools, please share your feedback with us. Your feedback helps us to better understand the ways you want to use research data and how a service like Scopus can help.